AMIDST THE PINES, WHERE ARE THE … SQUIRRELS? Friday’s second round of the 2019 Masters gave you all the golf you could have possibly wanted. Sharing the lead are five major winners, a stroke off the lead are two major winners, and other big names lurk. Only the forecast of Sunday rain can screw this up. But while skies are still clear, let’s take a quick tour (so to speak) of the second 9 at Augusta National. No. 10, Camellia: You don’t see squirrels here. Think about that. If you are a squirrel in north Georgia, this piece of property is where you’d want to be born, grow up, and retire. Tall Georgia pines. Loblolly pine. Pine pines. The greenest grass, the lushest pine straw. And yet…no squirrels. Why? Some friends and I have a theory that somebody, to make the experience of the Masters an even greater one for patrons, eliminated all the squirrels. Somehow. And they left one squirrel who wears a black armband and goes around Richmond County telling all the other squirrels, “Don’t go in there. Larry did and … well, just don’t go in.” That’s just a theory though. No. 11: White Dogwood: Important Tommy Fleetwood Lookalike Update: I’m waiting on someone to walk up to me, point at Fleetwood and say, “The homeless guy is 2-under?” Gosh I love Fleetwood. No. 12: Golden Bell: My Twitter bestie @ThatsGolf alerted me early Friday morning, right after first round co-leader Brooks Koepka double bogeyed the par-5 2nd, that of the past 22 Masters winners, just three made a double during their four rounds. The most recent was Jordan Spieth on No. 17 in the third round in 2017, and he knocked in 28 birdies that week and won. So…unless you’re going to make 28 birdies, it’s best not to double bubble. And one of the quickest ways to double, according to 6-time Masters champion Jack Nicklaus, is to hit one of six bad shots: tee shots at holes 2 (Koepka went left and low near a creek and trash, and way way way way right is out of bounds and woods), 11, 12 and 13, and the second shots at the second nine’s par 5s, 13 and 15. Of the nine players in the lead or within a stroke of the lead through two rounds, only Koepka has scored a double. No. 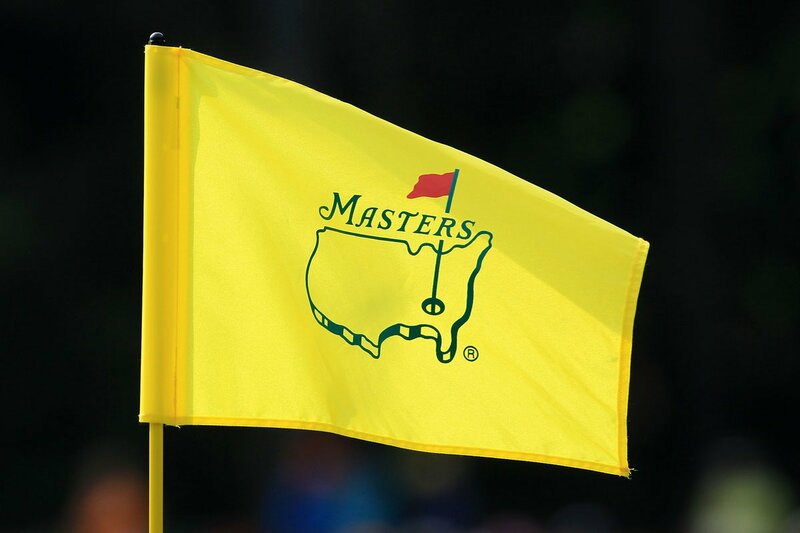 13: Azalea: 87 players started the 2019 Masters and 65 will play this weekend. Among those missing the cut: Stewart Cink, Justin Rose, Fred Couples, Danny Willett, Sergio Garcia, Paul Casey. No. 14: Chinese Fir: Corey Conners, the last player to qualify for the Masters when he won the Valero Open in a playoff Monday, is at 3-under, four strokes off a share of the lead. His clothing sponsors forwarded him clothes to Augusta National and his manager found him a place to stay as he hooked it late Monday straight from Texas to Georgia. No. 15: Firethorn: Former Masters champion Zach Johnson, who made the cut on the number, was swinging on the 13 tee to warm up when he accidentally ricocheted his golf ball off the tee marker. His playing partners, including Ian Poulter — “We were trying to hold (laughing out loud) in, but we had to let it out,” — enjoyed it. “It was a beauty,” Poulter said. “We’ve all done it.” Johnson wasn’t penalized because he had not addressed his ball with the intention to hit it. Too bad it happened on the 13th, which is 100 yards from the patrons, or more could have enjoyed a Weekend Golfer’s Moment in real time. Our Twitter brother @BunkiePerkins shared the video, along with his expert journalistic opinion: “Zach Johnson just laid up off the tee.” Nice. No. 16: Redbud: Friday’s Inspiration For Grinding It Out Award goes to Englishman Matthew Fitzpatrick, 24 and winner of the 2013 U.S. Amateur and five PGA European Tour events. He shot a bloody 78 Thursday—and a pristine 67 Friday. He’s at minus-1. Doubt he improves another 11 strokes Saturday and signs for a 56, but he’s trending in the right direction. Tip of the American visor to Matthew. No. 17: Nandina: My London friend Keith Jackson of SkySports wrote in February a terribly interesting story you will enjoy if you google “Keith Jackson Charlotte Austwick cobras, almost drowning.” I know, right? Austwick went to Johannesburg to chase her dream of pro golf and, in the first few days she was there, almost stepped on a baby cobra—they are bad hombres—almost drowned, got pneumonia, and shot 103 in the first round of a golf tournament. Then shaved 29 strokes off her score the next day. Those zany Europeans! Take 10 minutes, read it, and count your blessings. Austwick is counting hers. No. 18: Holly: The forecast for Sunday is an 80 percent chance of rain. Volunteers were asked Friday if they could stay and work Monday as Augusta National plans ahead. Today was just the second time in the past 11 years that rain has fallen during the tournament and the first time since 2008 that there’s been suspension of play. Not since 1983 has the Masters finished on a Monday. With seven majors winners in the current top 9 players on the historic leaderboard, it’s certainly not finished now.